With the rising standard of film-making in Bollywood, the audience is showing their love and appreciation at the ticket windows. The year of 2018 showed that how a mere content can compensate the star value plus extensive promotions, and spell the magic at the box office. 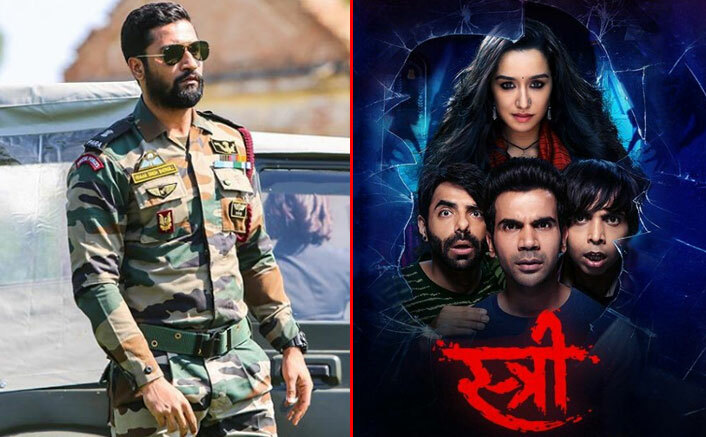 Many small to mid-budget releases like Stree and Badhaai Ho turned out to be the most profitable ventures and coming to this year, Vicky Kaushal starrer Uri: The Surgical Strike is following the similar route. In 2018, Shraddha Kapoor-Rajkummar Rao’s Stree emerged as the most profitable movie. Made on a small budget of 20 crores, the horror comedy did a lifetime business of 129.67 crores and fetched an ROI (Returns On Investment) of 109.67 crores which constituted 548.35% profit. With such a stupendous profit, Stree also became the most profitable Bollywood movie in the recent past. Uri: The Surgical Strike, made on a budget of 25 crores, has got a great opportunity to achieve a mighty feat at the box office. Marching towards the coveted 100 crore club in second weekend itself, Uri is aiming to earn over 150 crores in its lifetime run. If somehow it manages to bring the figure of 163 crores in a kitty, which is highly possible looking at the momentum and trending amongst the viewers, the movie will surpass Stree in terms of profit. Mark Ruffalo & Keira Knightley’s Musical Begin Again To Get A Remake In Bollywood! Uri: The Surgical Strike Box Office: Lifetime Count – 150 Crores Or 175 Crores? VOTE NOW! On attaining a total of 163 crores, Uri will earn an ROI of 138 crores constituting for 552% profit, thus surpassing Stree’s 548.35%. And it will also emerge as the most profitable Bollywood movie in the recent past. All said and done, one awaits to see how the war-drama trends during the weekdays in the second week, with no major competition at the box office. The post Uri: The Surgical Strike: With 163 Crores, It’ll Go The ‘Stree’ Way Having Over 500 ROI % appeared first on Koimoi.